Happy New Year ladies! It's the first month of 2015 already. How's everybody so far? Are you still working out? Still feel pumped to get a new body this year? I AM! ALWAYS! It's time to work for a better body this year, no excuses. What's your Goal for this year? 2014 was not a very good year for me. Sorry that i didn't really update my blog very often. This year, it's time to have some REAL CHANGE for my body. 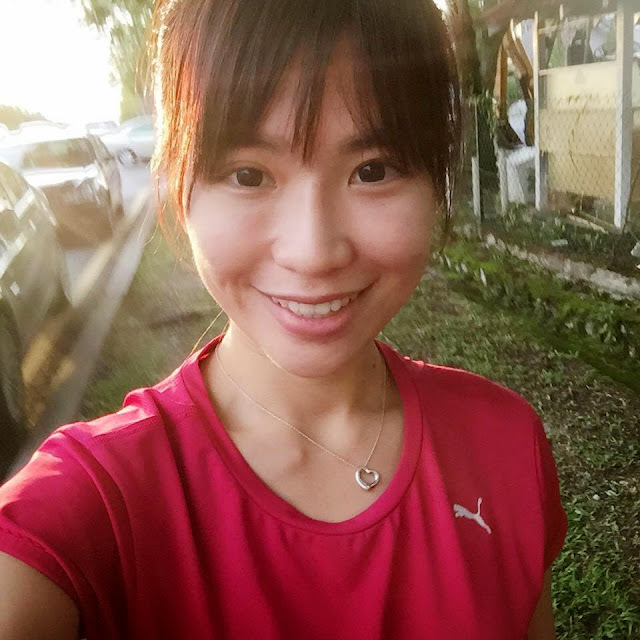 It's time to change my workout routine and change my mindset to another whole new level this year! Yay? Who's with me? Fit & Healthy is what i always aimed. All this while, i'm still trying to maintain it. Maintain that motivating flow in my bones. So, don't stop reading my little space. Hahaha. 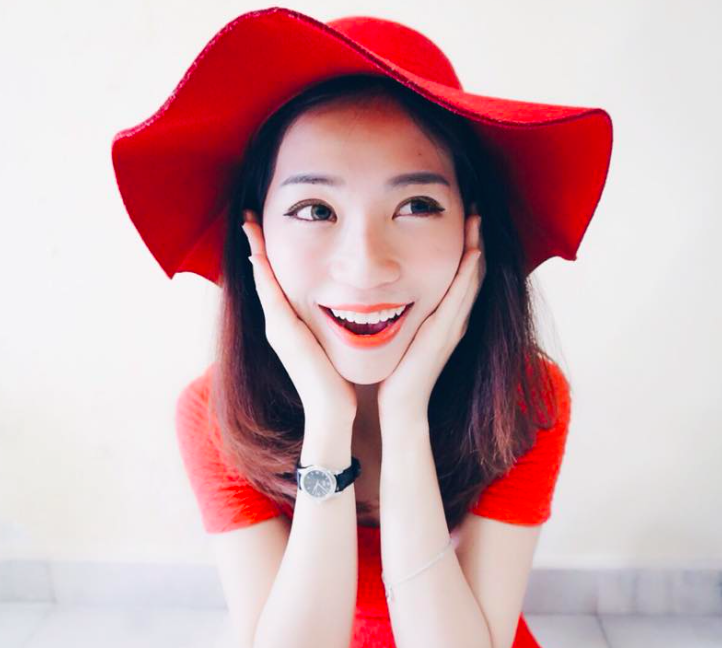 Are you ready for the NEW me this 2015? Well... Today, i'm going to share with you girls some tips for getting in shape. Thru eating. As i always mentioned, BREAKFAST is the most important meal of the day. During a busy morning, it's easy to let breakfast fall low in your list of priorities, but taking just a few minutes to have something to eat can really make a difference to your day. The first meal of the day influences how we perform physically and mentally. So, don't ever skip your breakfast! Remember that! If you ask me what's my ideal breakfast, i would say CEREAL with LOW FAT MILK. For those who don't have time/lazy to prepare a breakfast. Go for cereal and milk! It's one of my favorite choice of breakfast, because it's so effortless and healthy in the same time. I'm a person who really concern about my health. Every time before i purchase anything from the grocery, i will definitely check out the nutrition facts behind. First thing first, LOW FAT & LOW SUGAR!! I've came across this brand lately ----> Kellogg Special K. It's available in 3 flavours. It's a pleasure to be invited to their new launch roadshow earlier in Sunway Pyramid. 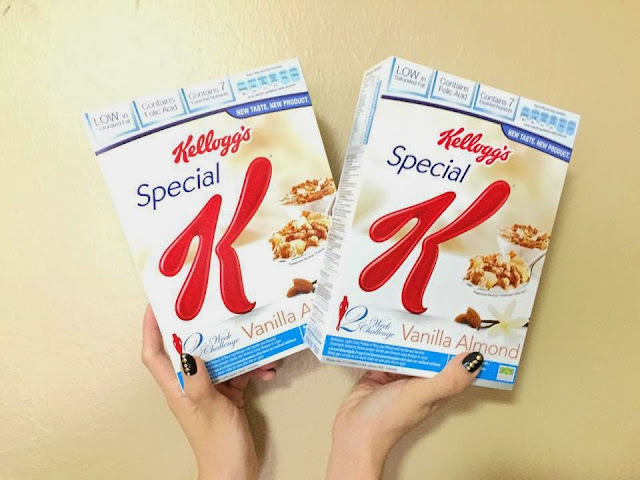 Kellogg is launching their new flavors --- Special K® Vanilla Almond Cereal. 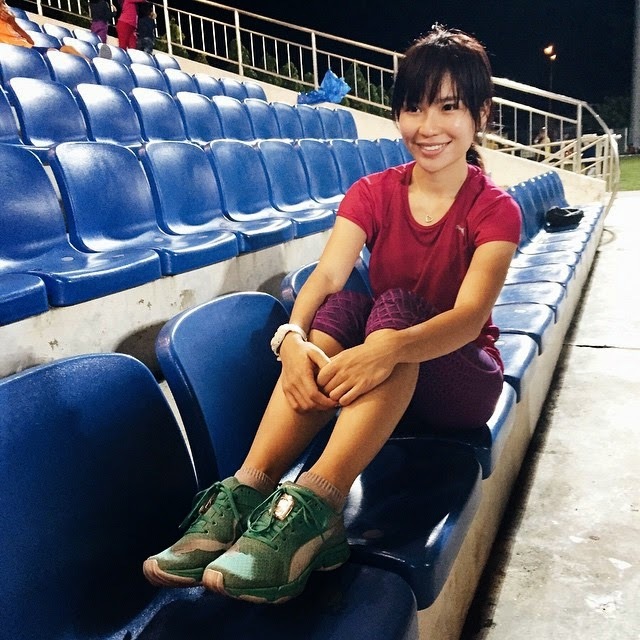 I was invited as their special appearance to share about my fitness experience. Overall, the event was great! I manage to complete all my tasks. Answer all the Q&A and play games with the audiences. 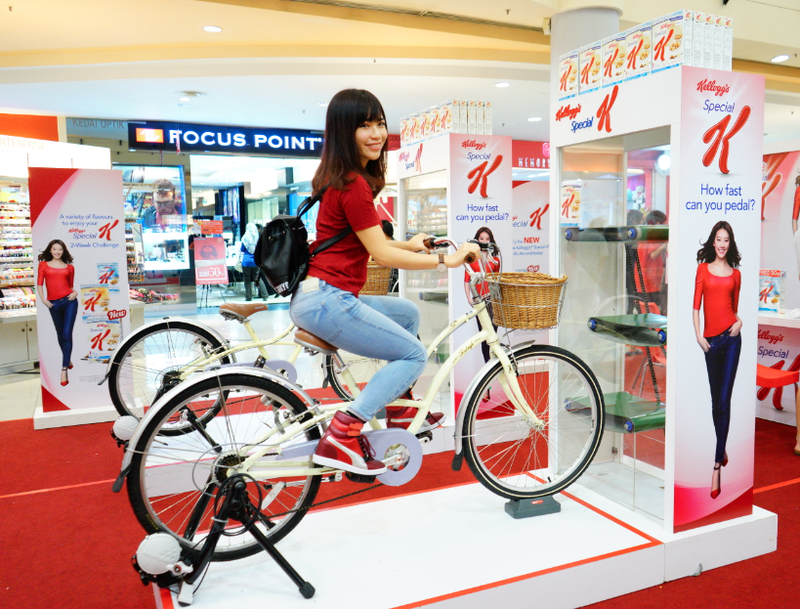 I also tried to the bicycle challenge to win the prizes in 60 seconds time, it was FUN! Thank you Kellogg for having me! 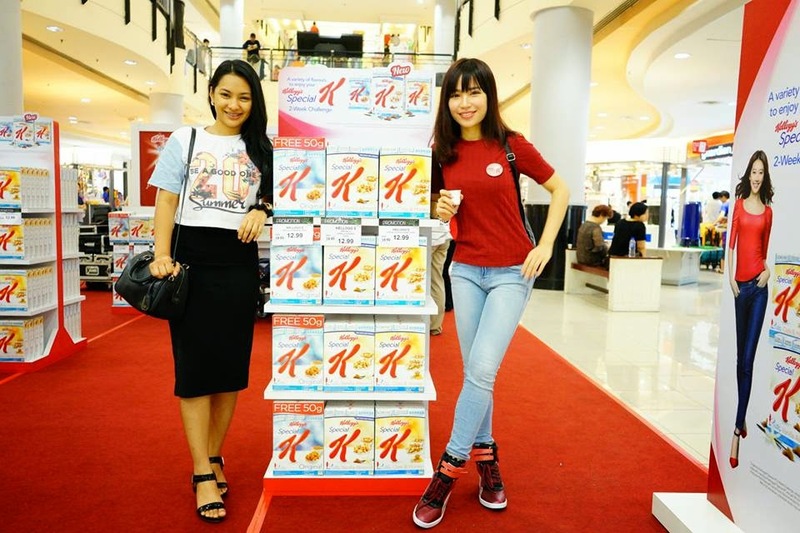 Kellogg also continuous to educate women to look good and feel good about themselves. 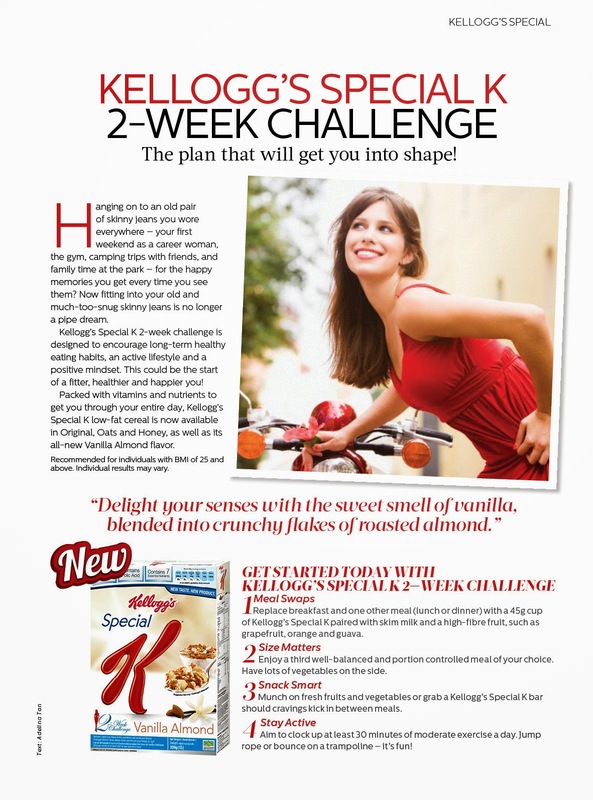 To inspire women to be health conscious, and to achieve better figure by taking up Kellogg’s Special K 2-Week Challenge. Want to lose weight and look slimmer? 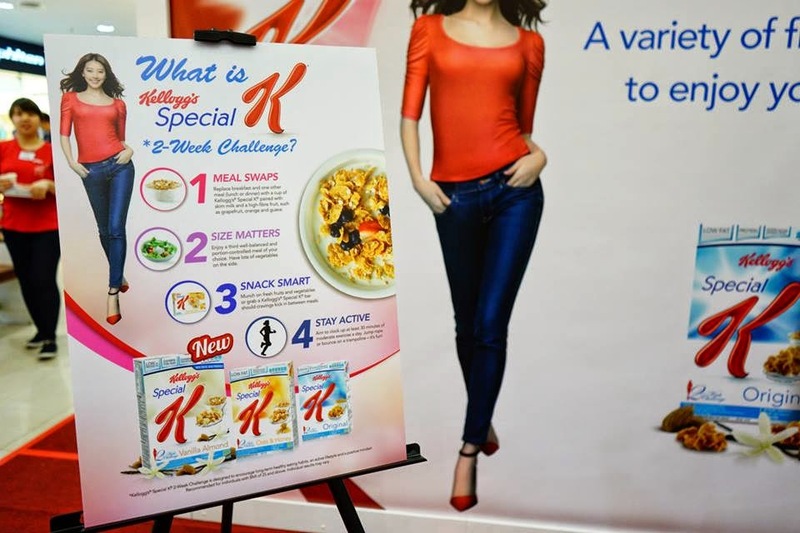 Take the Special K shapemate challenge and see if you can shape up in 2 weeks. 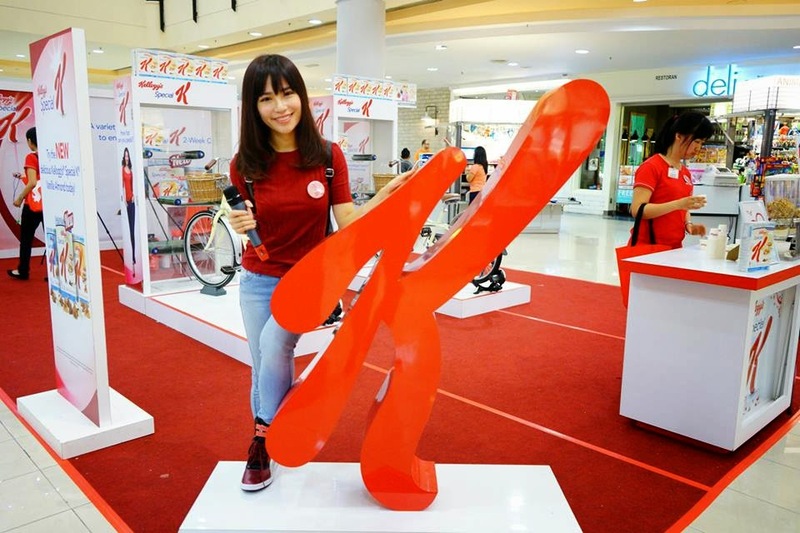 What’s Kellogg’s Special K 2-Week challenge? It's a meal replacement method, starts with 2-3 bowls everyday. 1. 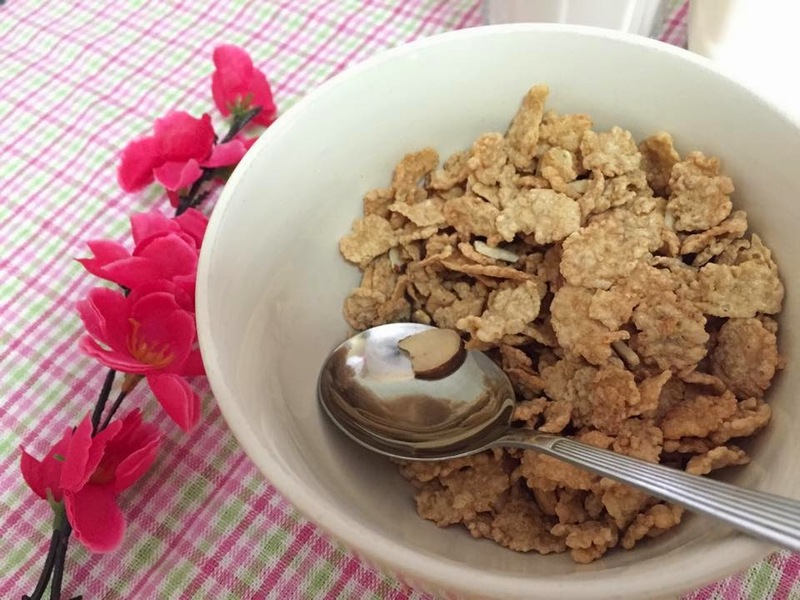 For your breakfast, lunch/dinner you can have a bowl of Special K cereal with skim milk and a serving of fruit to go with it. In addition to this, eat a healthy, well-balanced third meal (low fat with lots of vegetables) every day. And if you feel hungry between the meals, which is absolutely normal, you can snack on some fruits or vegetables. You can have up to 5 servings of fruits and vegetables a day. During your weight management journey, follow the meal plan along with exercise daily.